The Spring 2019 YA Scavenger Hunt is here!!! Welcome to YA Scavenger Hunt! This bi-annual event was first organized by author Colleen Houck as a way to give readers a chance to gain access to exclusive bonus material from their favorite authors…and a chance to win some awesome prizes! On this hunt, you not only get access to exclusive content from each author, you also get a clue for the hunt. Add up the clues, and you can enter for our prize–one lucky winner will receive one book from each author on the hunt in my team! But play fast: this contest (and all the exclusive bonus material) will only be online for 120 hours! Go to the YA Scavenger Hunt page to find out all about the hunt. There are five contests going on simultaneously, and you can enter one or all! I am a part of the RED TEAM –but there is also a blue, green, gold, and a purple team for a chance to win a whole different set of books! Rules: Open internationally, anyone below the age of 18 should have a parent or guardian’s permission to enter. To be eligible for the grand prize, you must submit the completed entry form by SUNDAY, April 7th at noon Pacific Time. Entries sent without the correct number or without contact information will not be considered. 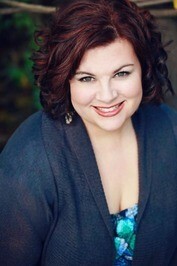 Today I am hosting the lovely and talented C. J. Redwine for the YA Scavenger Hunt! I’m a big fan of C.J. 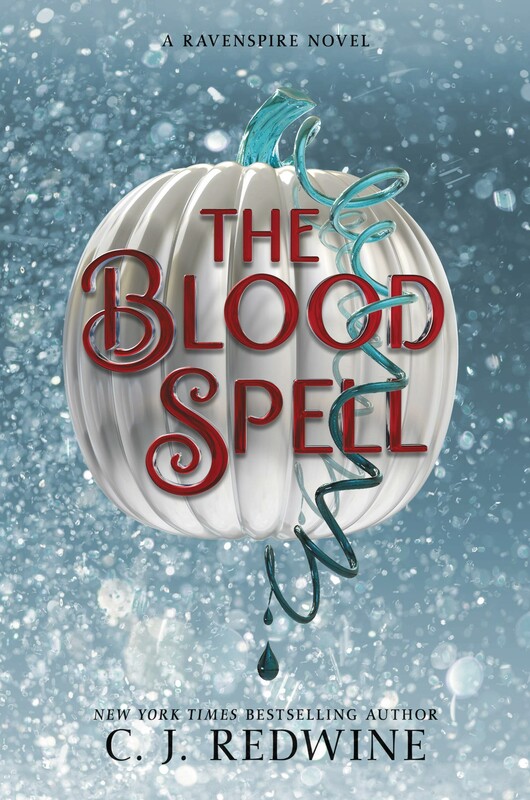 so I’m thrilled to tell you more about her and her latest, wonderful book The Blood Spell! Now, more about C.J. : C.J. Redwine loves fairy tales, Harry Potter, and going to the movies. If the novel writing gig ever falls through, she’ll join the Avengers and wear a cape to work every day. 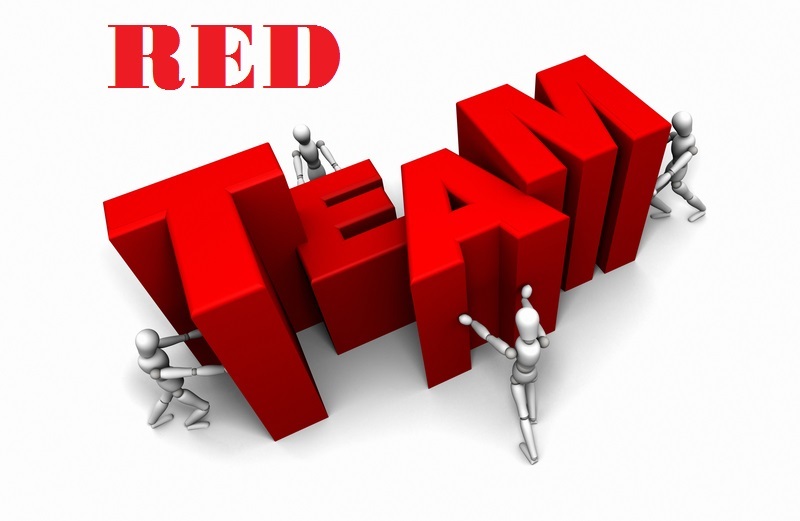 Find out more information by checking out C.J.’s website here! Lost in her thoughts as she scanned a street corner by the distant light of the stars, she pulled up short when a shout echoed from the street to her right, followed instantly by cheers. Turning, she found a crowd gathered on both sides of the street. A square was roped off on the street itself, and a lantern hung from each of the square’s corners. A broker in a striped top hat and matching dress coat stood at one corner calling loudly for bets as two young men entered the ring, stripped to the waist. One of them wore a black mask tied over the upper half of his face, leaving only his eyes visible. An illegal street match. One of the dumbest gambling games that existed. Two fighters accepted a small fee to stand in a square and punch each other until one of them went down. The winner won some coin and the cheers of the crowd. The crowd won bets on the winner, on how many rounds it took to bring the loser down, and on stars knew what else. How anyone could find entertainment in watching two people pummel each other for coin was beyond Blue. Shaking her head in disgust, she kept walking, but stopped when an acquaintance caught her eye. The boy was a few years older than Ana. Probably thirteen, though he was so skinny that it was hard to tell. He swept up for the bakery on the corner opposite of the Mortar & Pestle, and he’d visited the shop a few times with Ana over the months since Blue had hired her. Maybe he could take on an extra job. And maybe he knew what had become of Ana. “Trying to find someone to do the shop’s deliveries.” Blue craned her neck to look past Lucian’s shoulder as the broker began shouting the virtues of each fighter. Really, someone should alert the magistrate’s guards before this got out of hand and a fighter was seriously hurt. “I thought Ana was doing that,” Lucian said. “She was, but she stopped showing up.” The taller fighter, the one in the mask, moved in a way that felt familiar. Blue tried to match him with one of the older boys she’d seen working around the quarter, but nothing quite fit. “Do you know where she is?” Lucian asked. Blue tore her gaze away from the fighters while the broker took in the final bets, his accountant scrambling to jot them down in her book as a bell rang and the fighters launched themselves at each other, fists flying. “I was hoping you knew,” Blue said. Blue stepped past Lucian and stared at the fight, dread heavy in her stomach. She knew that voice. That insufferable arrogance coated with a thin veneer of charm. No wonder he was wearing a mask. Punching the crown prince was a jail-worthy offense. The other fighter charged, slamming into Kellan and nearly bringing them both to the ground. Blue winced as the boy’s fists pounded into Kellan’s stomach. It was no better than Kellan deserved. She hoped he hurt every time he drew breath for the next week. “Of course it isn’t.” But what about the other boy? What if the guards came and everyone learned it was the prince in the fighter’s square? And what if Kellan got seriously hurt right when he was supposed to be inspiring confidence in the head families that he was ready to take over leadership of the kingdom? Blue could think of a few families who wouldn’t hesitate to remove Kellan and his entire family from the picture if they thought he was unfit. Kellan answered the other fighter’s attack with a graceful pivot followed by a devastating hail of blows but got caught by surprise when the boy delivered a powerful uppercut that grazed the prince’s jaw. “Mind my pretty face,” Kellan said, laughing. As if risking his life, the betrothal, the fate of the kingdom, and the freedom of the other fighter was all a game. “That does it,” she muttered, pushing past Lucian and storming toward the fight square. “I thought it was none of your business!” Lucian called after her, but Blue wasn’t listening. Careless, charming, reckless idiot. How he could possibly be related to Nessa was beyond Blue’s understanding, but the fact remained that he was the kingdom’s heir. He was the brother of one of her best friends. His father and Papa had been close friends from the moment Papa was engaged to be the former king’s tutor. And Blue had spent her life trying to stop Kellan’s foolishness before it exploded in his face. She’d thought he’d grow out of it. The crowd parted around her, mouths agape as she swept past them to reach the square. The broker turned, the white stripes on his hat gleaming in the lantern light. His eyes narrowed, and his lips pursed beneath a razor-thin mustache. “Don’t tell me the magistrate sent a little slip of a girl to bring me back in line. Isn’t she worried you’ll be hurt?” he asked from his corner of the square, oily amusement covering the threat in his words. All eyes landed on Kellan, who shot her a glare and then laughed, throwing his arms out expansively as if to welcome scrutiny. “It seems I have an admirer. I told you not to ruin my pretty face.” He winked at the other fighter, and Blue ground her teeth. For an instant, she considered standing her ground. Announcing his identity to everyone in the crowd and watching them either scatter like rats or fall all over themselves to fawn on him. But a quick glance showed her that he was there without any of his guards, and the broker looked furious enough to chew through iron. Unmasking Kellan would be more dangerous than just convincing him not to be an idiot. Of course she’d been trying for years to convince him not to be an idiot, and nothing she did seemed to take. Still, it was better than putting him in more danger than he’d already put himself. “I’m very quick on my feet.” He grinned as if inviting her to admire his fighting skills. “Keep your voice down.” He glanced over his shoulder at the crowd who were milling closer as if hoping to eavesdrop. “And what happens to the other fighter if you’re unmasked? He could go to jail. Is that worth you having a night of fun?” Blue planted her fists on her waist and glared up at him. Erin here again, and wow – I really loved reading that excerpt! 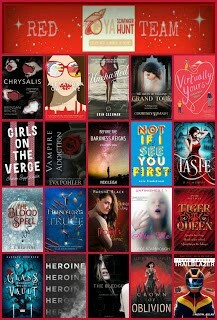 And don’t forget to enter the contest for a chance to win a ton of books including a hardcover of UNCHARTED by me, Erin Cashman, and many more! To enter, you need to know that my favorite number is 9! Add up all the favorite numbers of the authors on the red team and you’ll have all the secret code to enter for the grand prize! One winner will receive a hardcover of Uncharted! 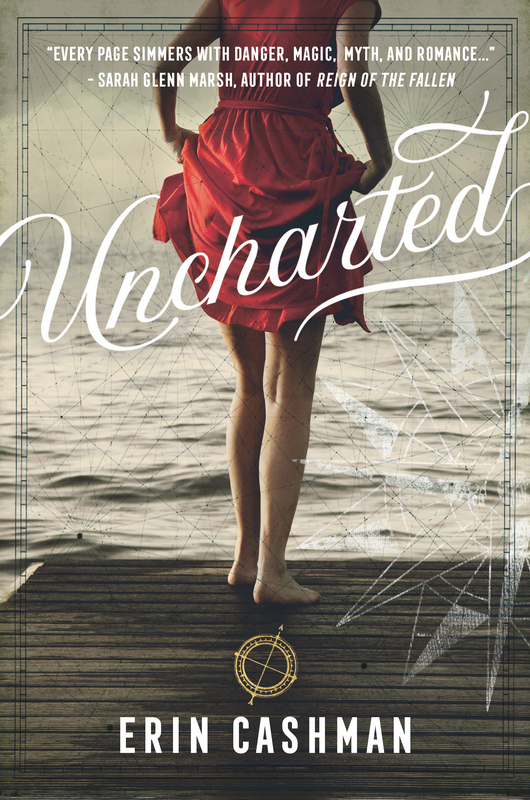 Uncharted is a page-turning blend of fantasy, mystery, and romance, in which a young woman’s search for her missing father exposes her to an ancient secret that some would die to protect and others would kill to expose. To enter, subscribe to my newsletter here! I’m hoping to have my first newsletter out soon! Winners in the separate giveaway will be contacted by Monday, April 8th and posted on the YASH website along with the grand prize winners. Thanks for hunting with me today!! Good luck!